In this post I am going to give an example of how to wire up suggestive search, otherwise known as AutoComplete, using the jQuery UI when using ASP.NET MVC along with Lucene Computed Index Fields in Sitecore 8.1. An AutoComplete is as quoted from jQuery UI, “Enables users to quickly find and select from a pre-populated list of values as they type, leveraging searching and filtering“. 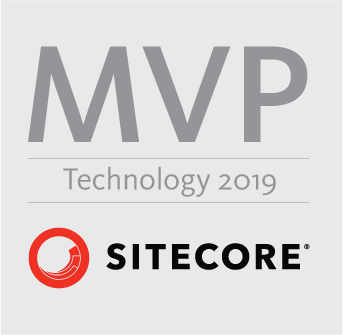 I started this off by working through the examples out of the most recent book put out by Phil Wicklund and Jason Wilkerson, Professional Sitecore 8 Development. If you haven’t read this book, get it! It is filled with a lot of knowledge that you can add to your toolbox. I started with some basic examples from that book, and modified to get what I needed to meet my requirements for this task. You will notice that I added in indexType=”UNTOKENIZED” and that is because I want the value to not be split up. For example, if the name is John Doe, I want the results to come back as “John Doe” (UNTOKENIZED) versus “John” or “Doe” (TOKENIZED). That’s all it takes to get the jQuery UI AutoComplete plug-in working for you to bring back results from your Lucene indexes. Happy coding! This entry was posted in Lucene Search and tagged 8.1, autocomplete, computed index fields, index, jquery, lucene, sitecore, suggestive search on January 7, 2017 by Toby Gutierrez.